Are you planning on hiring remote workers for your business? More and more people are leaning towards home-based businesses -- and it's proving successful. In the 21st century, working from home is considered a normal practice, so it’s natural to want to expand on your ideas. However, if you are in a position where you need to make your company larger by hiring remote workers, don’t go into it blind. People who succeeded on their own but rushed into the employer bracket too quickly found there’s a lot more to it than barking orders. Here are five great tips you can use to build a great company with great employees. Remember these tips, and you will always find yourself walking in high cotton online. When you begin onboarding workers, you must share the vision you see for your company. Many employers forget this step, only to find out later that the employee isn’t quite as invested in it as they had hoped. There are a couple of reasons you want to do this. When you share your vision with someone else, you invite them to take the journey with you. Not only does this make it personal for the employee you just hired, you also offer them a piece of your company because now they are helping you get your business to where you see it in five years. Sharing your vision creates ownership, and ownership creates a great employee work ethic. In order to allow your business to flow organically and naturally, you need to understand the specific skill of each worker. So many employers simply hire new employees and then don't talk to them for five weeks -- that’s an overstatement but I want you to understand the impact. In order to understand each worker's skillset, you must spend some time with them, learn about their likes and dislikes. They will tell you which areas they need to work on and which areas they excel in. For example, you don’t want to assign a content writer to work on the backend of your ecommerce blog writing code. Most employers think when an employee applies for a certain position, that they can only do that specific job. Get to know your employees outside of the interview process. You'll be surprised what you find out. Once you decide you want to hire a person, and they have exceeded your expectations for a particular position, set up another meeting to get to know them one-on-one for 15 to 30 minutes. You may find your content writer also has a passion for Wordpress coding. It is beneficial to your business to get to know and understand each employee you place inside of your company. Learn about them and their expertise, and craft jobs specifically around what they’re good at. Any successful business person with any amount of employees will tell you communication can make or break your company. When everyone is on the same page, when they understand the job and what is required of them -- this is where true business success lies. One of the main responsibilities you have as an employer is to make sure the communication train is running smoothly every day. Make sure your command structure is set in place and your supervisors are helping you guide the employers along. 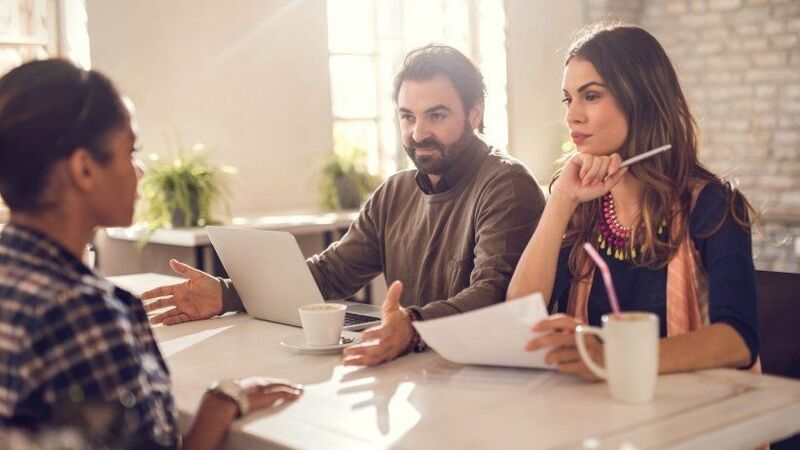 Since it’s up to you to determine how well your employees communicate, you have to make sure the tools and platforms the company uses meets your criteria for communication. Platforms likeIntraboom are perfect examples because they create opportunities for communication, tasks, file sharing and important bulletins you need to share with your employees. Get your employees used to communicating with you and their coworkers on a daily basis. Have your supervisors set up weekly meetings with their teams to be reported back to you for the day-to-day operations and task handouts. Also, keep in mind the bi-weekly meetings you should have with the whole team. Meetings with everyone in attendance will keep communication top of mind within your company. When employees understand the job and what’s expected of them, it makes for a smooth transition into success with your business. It’s a good practice to have daily and weekly goals set within your company. This allows your employees to get used to achieving those goals and having your expectations met. It’s also a good practice to allow your workers to set their own goals for the week. Allowing this makes them more productive. You can help this out by setting a reward system within your company. This promotes a healthy working environment, and it teaches your employees to have good work habits every day. There's tons of articles about business experts who can show you how to manage employees effectively. You should definitely read some of those because they can affect the way your business is run. However, not many people write about the effectiveness of not standing over your employees cracking the whip. Giving them that space shows that you trust them. And that makes them happy. Does it make them happy when you leave the room or stop bugging them every minute of the day? No doubt it does. When you realize they can handle day-to-day responsibilities, you need to slide out of the way, and make sure they know you’re available when you need them. In fact, employees who are the most motivated to work are the ones who feel autonomous and empowered. You can make this happen by stepping away once they’re comfortable with their responsibility.